Publisher: MONDADORI ELECTA in the series LE GUIDE MONDADORI – Language: Italian – Author: Italo Neri. Italo Neri, from Milan, has written an incredibly useful book. Italo is a veteran of the Dakar and of the Rallies as Race Official of the International Motorcycling Federation and he also does off-road, consequently he surely knows how to explain how to navigate and overcome difficulties, even technical ones, with what is handy. The preface is by Marc Coma. To have an idea of the book’s contents, the best thing is to check the index, which shows how it’s divided into four big chapters. 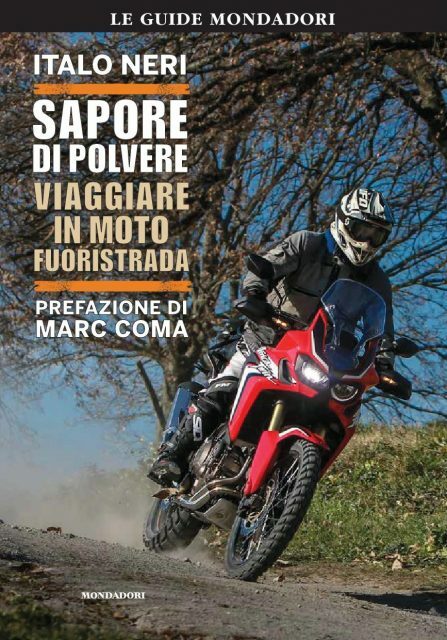 – THE INTRODUCTION, where the author proposes 3 precise topics: Who we are, Which motorbike and Getting your bearings among off-road models. 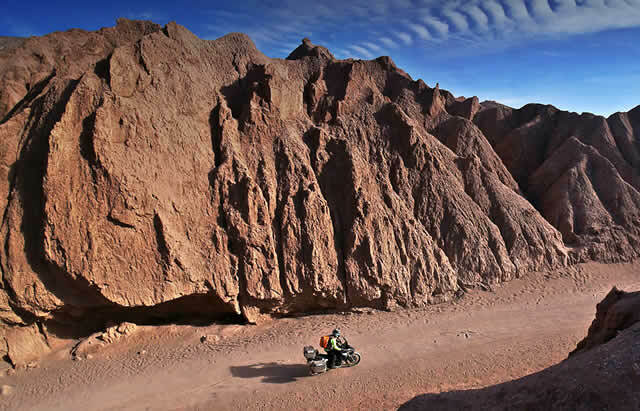 – THE PILOT AND THEIR BIKE, divided into The Guide (advice on the saddle set-up, the use of the body, acting on the commands, brake control, obstacles, sand, fords and so on)… Then there’s What counts in an off-road bike (technical analysis of the bike and the engine) and Navigating, Equipping yourself and your bike. -PLACES AND DESTINATIONS is the third chapter. The author talks of where to go, and takes into consideration some of the classic motorbike touring destinations (the Pyrenees, Tunisia, Morocco, etc.). -PRACTICAL INFORMATION. References to schools, riding instructors in Italy and the rest of Europe, trip organisers and other info.